I wonder what Gandhi would have made of Australia in 2017 – a place that many people who live here regard as the best country in the world. It’s true that we have a robust parliamentary democracy, even if we’re replacing prime ministers at an unsustainable rate. Paramedics no longer use the question “Who is the prime minister?” as a reliable test of cognitive function of the bewildered or concussed. We have our spectacular beaches, Sydney Harbour, our bush, our mountains, some of the world’s cutest wildlife and the world’s most liveable cities. We have a well-educated population, with unprecedented numbers of students enrolled at our universities – many of which are world class. We have relatively low unemployment. A high – though falling – rate of home ownership. A record period of sustained economic growth and a sound financial system, though accompanied by record – perhaps worrying – levels of personal and government debt. This is a place where we pride ourselves on the fair go. A place where we enjoy freedom of speech, freedom of religion, freedom of assembly, freedom of the press. No wonder we’re such a highly desirable destination for tourists, immigrants and, yes, refugees. This is a place where you might think the dream of egalitarianism could finally come true. It is certainly a place where we have managed to create a harmonious society out of extraordinary cultural and ethnic diversity, bringing together people from almost 200 birthplaces around the world. And yet, all is clearly not well. We are a society in the grip of epidemics of anxiety, obesity and depression – 20% of Australians experience some form of mental illness. More than 700,000 children are living in poverty. Although we pride ourselves on our low rate of unemployment, we often overlook the problem of underemployment. About 2 million Australians are either unemployed or underemployed. 100,000 Australians are homeless. We are further from egalitarianism than we were 50 years ago. We are showing signs of a disturbing retreat from the values of an open, tolerant society for which we were once famous. How did this happen? Where did this edgy, anxious, too-violent society come from? This uneasy blend of arrogance and timidity? Could it be the result of growing income inequality that has produced an unprecedentedly large gap between rich and poor Australians, with greater numbers than ever before at the top and the bottom of the economic heap? Inequality certainly breeds insecurity, and poverty certainly has bad consequences for health. But anxiety and depression are not confined to any particular social or economic stratum. Could all this anxiety be the result of declining respect in the community for our institutions – the church, politics, the banks, the trade unions, the media, even universities – that has led to widespread disenchantment and disillusionment?After all, we create institutions to formalise many of the functions of our society: they exist to serve us, so when we suspect they are being corrupted by their own power, or becoming inward and self-protective in their focus, we are understandably disappointed, and perhaps even outraged. You may have seen recent media reports of research by the Edelman organisation showing that trust in big business in Australia is in sharp decline. And we all know what has happened to respect for the institutional church – and for politics. An international survey conducted by Ipsos showed that more than 70% of Australians believe the nation “needs a strong leader to take the country back from the rich and powerful”; 68% believe “the economy is rigged to the advantage of the rich and powerful”; and 61% believe “traditional parties and politicians don’t care about people like me”. That decline in respect for contemporary institutions of all kinds might well contribute to our level of anxiety, though I suspect the main response among people who lose faith in an institution is disgust rather than anxiety. They are more likely to switch off, or retreat into cynicism, rather than to worry about it. I believe Mahatma Gandhi might have had something to say about all this. I suspect he would have wanted to remind us that if we lose our capacity for unconditional compassion, if we lose sight of our true nature as members of a society – and if we focus too much on our own wants, our own entitlements and our own gratifications, with little regard for the needs and wellbeing of others, there will be an inevitable threat to our mental health. Over the years, my own research has consistently identified “loss of community” as one of the most common concerns among contemporary Australians. That concern is often expressed as a regret that local neighbourhoods are not functioning as well as they once did. “We don’t know our neighbours” has become a cliché of contemporary urban life. That is never said with pride or pleasure: feeling like a stranger in your own street is bound to fuel your insecurities. 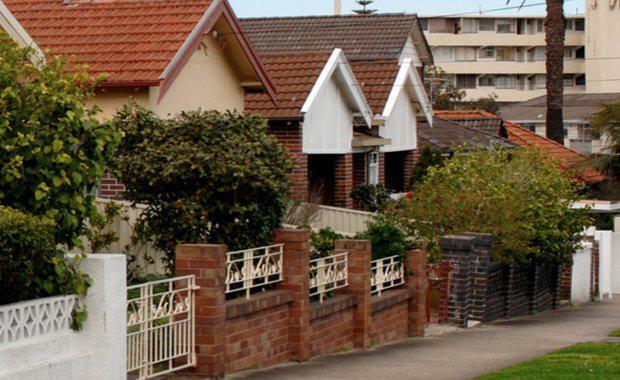 A disturbing piece of research from Edith Cowan University has shown that only one-third of Australians say they trust their neighbours. Clearly, that could not possibly mean that 65% of neighbours are untrustworthy – what it must mean is that most people in our society don’t know their neighbours well enough to have learnt to trust them. I’m not of course suggesting that the erosion of our commitment to the community we live in is the sole cause of anxiety, or even the primary cause in many cases. Anxiety and depression are often the result of a complex blend of biological and social factors. What I am suggesting is that when we lose sight of our role as neighbours, the health of the neighbourhood suffers. And when the health of the neighbourhood suffers, we all suffer. When we ignore our biological destiny as social creatures – people who need each other; people for whom a sense of belonging is fundamental to our wellbeing; people who utterly rely on communities to define us, sustain us and protect us – then our level of anxiety is likely to rise. So, is there less community engagement than previously? Are local neighbourhoods less stable and cohesive than they once were?When you look at the evidence, it’s hard to argue with the popular perception. Let me remind you of some of the factors that have been propelling us in the direction of becoming a more fragmented, more individualistic, more competitive, more aggressive, less co-operative and therefore more anxious society. First, the most obvious one: the rate and the relentlessness of social, cultural, economic and technological change. Ever since the Industrial Revolution radically changed the way we live and work, we have struggled to adapt to those changes. And while, as a species, we are still – after 250 years – trying to absorb the impact of that revolution, we have had many more recent revolutions to cope with: the gender revolution, an economic restructure amounting to revolution, an information technology revolution, and even a revolution in our sense of who we are – our cultural identity as Australians. the IT revolution that has led us to confuse data transmission with communication, altered our perceptions of privacy and identity, and – above all – made it easier than ever to remain apart from each other. The increasingly sophisticated and increasingly pervasive influence of consumer mass-marketing promotes materialism and greed – more things will save you; more stuff will save you. This message is reinforced every day by political and other leaders who insist on reducing everything to economics. But the deeper message is that it’s all about my comfort, my prosperity, my wellbeing. Essentially the same message – though in a very different guise – comes from the “happiness” industry, promoting the idea that we are all entitled to happiness – indeed, that happiness is our default position. Now, don’t get me wrong: I love being happy – who doesn’t? I’m not an “anti-happiness crusader”, as someone recently suggested. But I do acknowledge the truth of ancient wisdom on this topic: if you pursue happiness, it will elude you; if you think you’re entitled to be happy, then you’ve missed the point of happiness; if you privilege happiness above all other emotions, then you’ve failed to grasp one of the loveliest truths about the human condition – that we have a full spectrum of emotions for dealing with what life throws at us (the highs, the lows, the disappointments, the triumphs, the sadness, the gratifications, the pain, the loss … and the tedium) and every point on that spectrum is as valid, as authentic as every other point, because every point on the spectrum has something to teach us about what it means to be human. And no point on the spectrum makes sense without the context of all the others. So if I could bestow perpetual happiness on you … you’d never be happy. Why isn’t it turning out the way my parents said it would? The effect of all this propaganda can be seen everywhere in the burgeoning “me culture” that has Western societies like ours in its grip. Think of the epidemic of selfies. Think of the primary uses of social media – not to communicate but to brag. Think of the growing emphasis on personal entitlement rather than civic responsibility. The message of the me culture is antithetical to our true nature as communitarians; as people genetically programmed to co-operate rather than compete; as people whose very identity is inextricably linked to the groups we belong to; as people who will shrivel up (emotionally, if not physically) if we are not nurtured by the experience of engaging with the lives – and sharing the pain – of those around us. A third contributor to our present level of anxiety is the growing rumble of the three big threats – climate change, international terrorism, and the threat of a major global economic disruption. These things threaten us on such a large scale they seem utterly beyond our control – in the face of threats like these, we feel so powerless, so vulnerable, that many of us deal with our anxiety – or our fear – by simply retreating into a shell of self-absorption. I can’t control any of that, so I’ll focus on what I can control – the bathroom renovations, the school I send my kids to, the quest for a perfect latte. What I’m suggesting is that, under the influence of all these factors, we are losing our sense of human connectedness and therefore our sense of compassion. We are not living as if we need each other, though we do. We are not living as if our own health depends on the health of the communities we belong to, though it does. We are not living as if we understand that a good life can only be a life lived for others, though that’s all it can ever be. How else can you make sense of the idea of a morally good life? You can’t be good on your own: morality is only ever about how we treat other people; goodness is inherently about responding to other people’s need of our kindness, charity, compassion, respect – our love. or close friendship, or even our affection for music, or food, or travel, or pets, or poetry. We routinely say we love all those things. Those kinds of love are about our emotional responses – our affections. But the kind of love that transforms neighbourhoods, communities and entire societies actually has nothing to do with emotion at all, or even affection. That kind of transforming love is motivational, not emotional; it’s a tough mental discipline that involves our commitment to the idea of kindness and compassion as a way of life. It’s the discipline of approaching every situation with a charitable disposition, with an inherent sense of respect for the other person, and with a determination to be kind – no matter what our differences may be. This is the way we defuse violence. It’s the way we turn conflict into co-operation. One of Gandhi’s wisest contributions to this way of thinking was to urge us to acknowledge that when we find ourselves in conflict with someone’s ideas, it is the conflict itself that is our opponent – not each other. Gandhi’s so-called “passive resistance” – a term he himself rejected – was really about replacing the force of violence with the combined force of truth and compassion – what he called “soul force”. There is a very Christian idea – but not exclusively Christian – at the heart of this discipline. It’s the idea that we should expand our interpretation of “love your neighbour” not only by redefining what we mean by love in the way I’ve suggested – compassion might be a better word – but also by redefining the meaning of “neighbour” to include everyone – not just those who are like us and those we agree with, but those who are decidedly not like us and those we disagree with, as well. It’s easy to be kind and compassionate towards those we like; not so easy towards those we don’t like. And yet how we respond to those we don’t like is the ultimate test of whether we have acquired the discipline most essential to mental health: the discipline of a loving disposition. One consequence of our embrace of the loving disposition is that we would abandon the primitive and atavistic notion of revenge. In the same way as a truly civilised person renounces violence as a way of achieving our ends, so a truly civilised person renounces the idea that if I have been treated badly, then I am entitled to act badly in response. Revenge is a way of bringing us both down to the same level of bad behaviour – wrestling together in the moral mud. The only possible response of the civilised person is to forgive and, where practicable, to help repair the damage. That’s how we build a better society – by responding to bad behaviour with good behaviour; by responding to ugliness with beauty; by responding to treachery with integrity; by responding to lies with truth. To conclude, let me revisit the state of the nation – our growing disenchantment with institutions, our tendency to disengage from the serious social issues that confront us – homelessness, the plight of asylum seekers, the enduring problem of Indigenous Australians’ health and wellbeing, the problem of growing inequality of income, the fragmentation of families, neighbourhoods and communities, and – perhaps as a consequence of that – the rising epidemic of anxiety. It’s easy to complain about “the state of the nation” and to wish that a leader could make everything right. There’s a very long history of human societies placing too much faith in their leaders to save them from whatever they think they need saving from. In Australia, we’ve had a couple of very recent examples of what happens when we over-invest our faith in leaders – their fall from grace, and our ultimate disappointment in them, is all the more poignant. It’s true that the best leaders can both inspire and reassure us by placing us in a narrative we can understand and by offering visionary policy solutions to our social and economic problems. But, as part of the general decline of trust in politics, our esteem for the current crop of leaders has plummeted. Both Donald Trump and Brexit can be partially interpreted as reactions to similar disenchantment in the US and UK. In one way, that might be no bad thing. It might encourage us to look differently at the situation and take matters into our own hands by embracing the idea that the state of the nation actually starts in the street where you live. We can’t manage the economy, but we can decide to spend and save wisely, and to be more generous to the needy – the marginalised, the disadvantaged, the brutalised. We can’t stop the rising tide of technology but we can be its masters, not its servants. And when it comes to the character and the values of our society, it really is up to us. We can have a powerful influence on the state of the various communities we belong to – in the neighbourhood, the workplace, the university, the church or other faith community, the sporting association, the book club or other community organisation. How we contribute to the miniatures of life – in our own family, street, suburb or town – will ultimately help to determine the big picture. We all know how to act like neighbours when there’s a crisis – floods, bushfires, storms, or horrific events like the carnage in Melbourne’s Bourke Street two weeks ago. Of course bystanders rushed to the aid of the injured. Of course people instinctively help those in obvious pain and distress – that’s the kind of species we belong to. So why does it so often take a crisis to remind us of our responsibility to the other members of our community – including the elderly and the isolated, whose need of help – perhaps in the form of nothing more than a bit of conversation – might not be as immediately obvious as an accident victim’s. You think people aren’t as friendly as they once were – that, especially in Sydney, avoiding eye contact with strangers has become an art-form? Then be more friendly. Start making eye contact with strangers. No – do better than that – start smiling and saying hello … at the bus stop, in a lift, in the checkout queue, and especially in the street or apartment block where you live. You don’t know your neighbours? Try knocking on the door and introducing yourself. Become the kind of person who is always alert to the possibility that someone needs your help or attention. Join a local book club or a community choir; participate in a community garden; play a team game with a local club; become a regular at your local café. In other words, engage. Be there. And don’t worry about how you’re feeling about any of this – whether being kind to people is making you happy. That’s not why you’re doing it. If you’re looking for something to worry about … worry about whether you gave someone your undivided attention when they needed it – whether you really listened, or just pretended to. Worry about whether you apologised quickly enough – and sincerely enough – when you wronged or offended someone; whether you forgave someone readily enough when they wronged or offended you; whether you were there when someone – perhaps even a total stranger – needed your encouragement and support. You may never know what results come of your actions but if you do nothing, there will be no results. 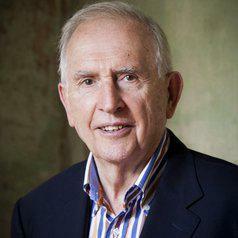 Hugh Mackay is a social researcher and the author of sixteen books. He is a Fellow of the Australian Psychological Society and was a newspaper columnist for over 25 years. Hugh is currently an honorary professor of social science at the University of Wollongong, an professor at Charles Sturt University, a patron of the Asylum Seekers’ Centre and an Officer in the Order of Australia.